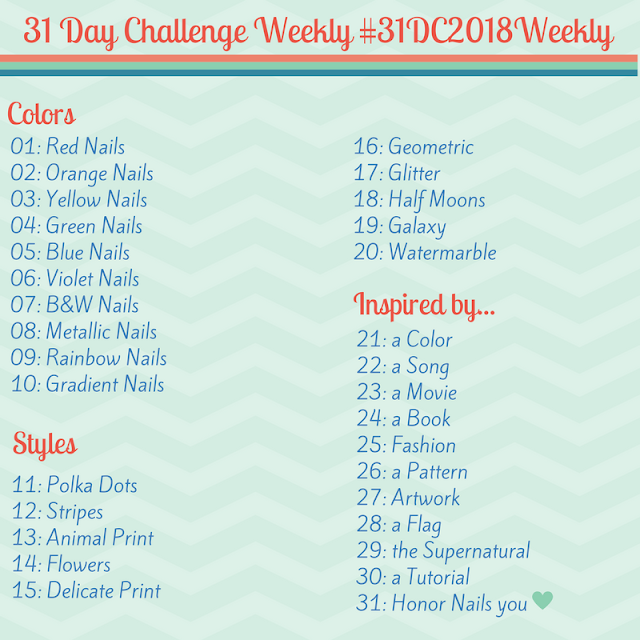 Digital Nails - Doge Collection - Polish Etc. ﻿Much excite. Many amaze. Wow. Today I have a super fun trio of polishes from Digital Nails to share with you! I have been a huge Digital Nails fan ever since I met the maker, Raph, on a trip to Austin this year. I went to visit my bestie-boo and blog mate, Amy, who introduced me to Raph. The three of us had a wonderful time talking about polish and music and nerdy things while playing with glitter. What fun! So, I was very honored when Raph asked me to review for her. 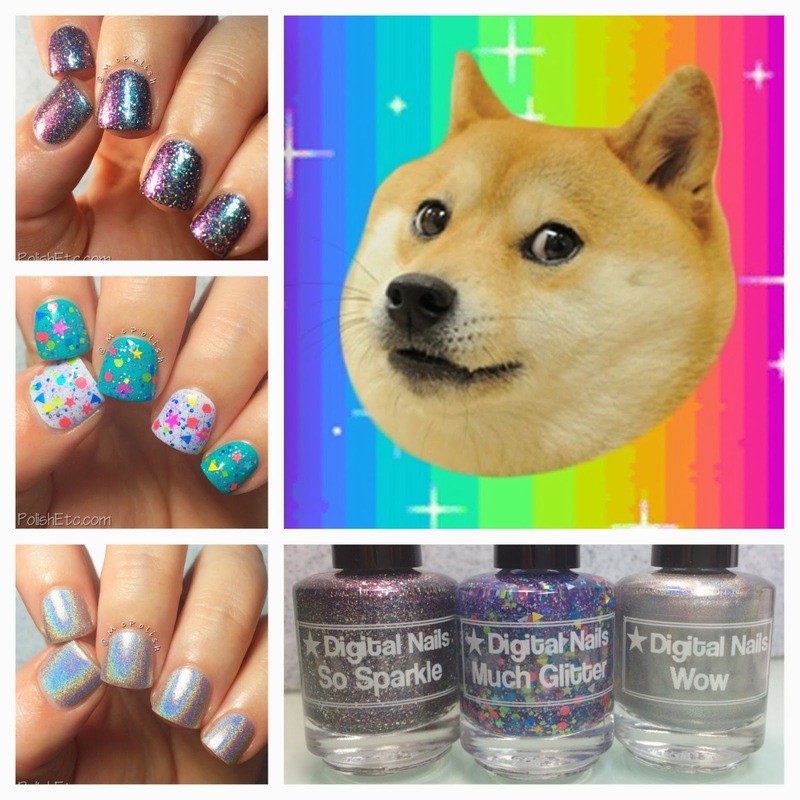 This trio of awesome polishes are inspired by one of the best internet memes, Doge. If you are unfamiliar with the awesomeness that is Doge, you can check out some examples here. The names of each of these polishes is the inner monologue that Doge would have when checking out your nails. I now have a hard time typing out comments on Instagram without doing my own Doge impressions! On to the swatches and a little nail art! Click through for all the photos. First up is "Much Glitter"! This glitter topper has everything: stars and hexes and triangles and squares and shimmer. Oh my! The base of this polish is slightly tinted with a blurple hue but I used it just like a clear based topper. The glitter payoff was excellent. I did not have to fish for a good mix of glitters. I used one coat over Pipe Dream Polish "Happy Hour" and OPI "My Boyfriend Scales Walls". Next we have "So Sparkle". This polish....wowza! I am not entirely sure what to call this. It's a glitter flakie holographic multichrome shimmer polish? Yea, that sounds about right. This polish is amazing and dynamic. I took so many photos of this manicure in different lighting to get all the shifty colors on camera. This is the kind of polish that will have you distracted all day. The base color is a slate grey that shifts from blue to purple. I used two coats with a top coat for these photos. I used two different light sources for this next photo to try and show off the shifty colors. And, of course, we have to include a macro. You can really see all the different bits of awesome up close. This polish is made to macro. Macro all the things!! 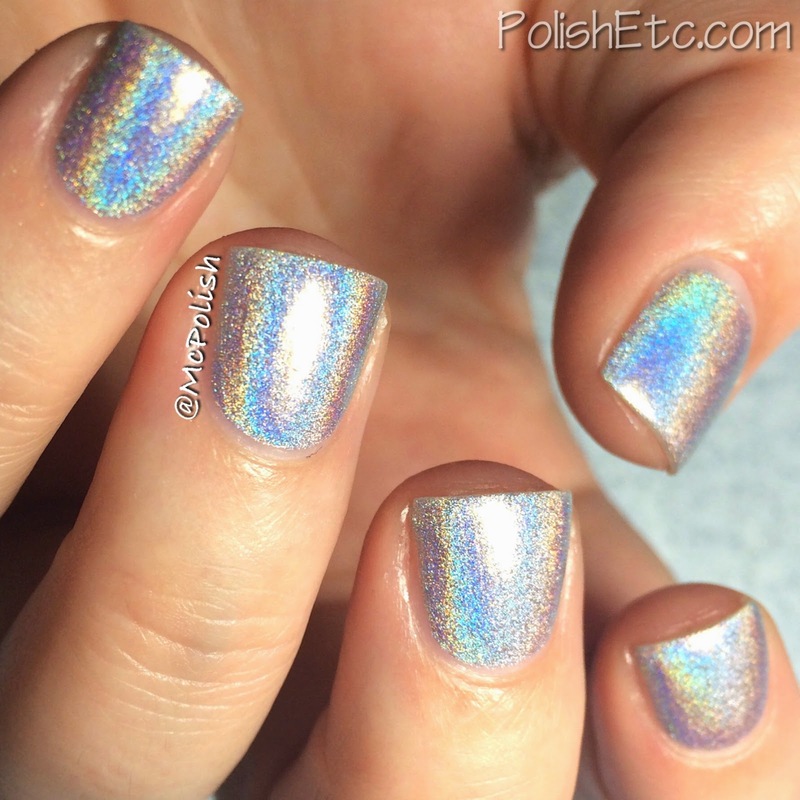 Lastly, we have "Wow", an amazing linear holographic polish. The base color is a beautiful silver that is opaque in two coats. The linear holo is very strong and the rainbows are jumping off of your nails when you wear this. I can honestly say that this polish is the only silver holo I will ever need! Love it. Up close rainbow holo awesomeness! Then I had to do a little nail art! I know I have been slacking on posting nail art here on PolishEtc (so many swatches, so little time) but I had to try a new technique. I am pretty sure this is called Lead Lighting or Glazing. I have seen tons of ladies do this type of nail art on Instragram right after all the sheer jelly polishes came out this spring. I stamped the flowers with black polish onto Wow. Once that dried, I used OPI Sheer Tints to color in the petals over the black. Because the OPI polishes were so sheer, itlet the holo shine through. I really enjoyed this technique and will likely do it again! So, how amazing is this collection??!?!! Many awesome. Such shifty. Need. You can get your Digital Nails fix on Raph's Etsy Shop. You can also follow her social media sites for even more awesome swatches. Thanks for stopping by, lovelies!